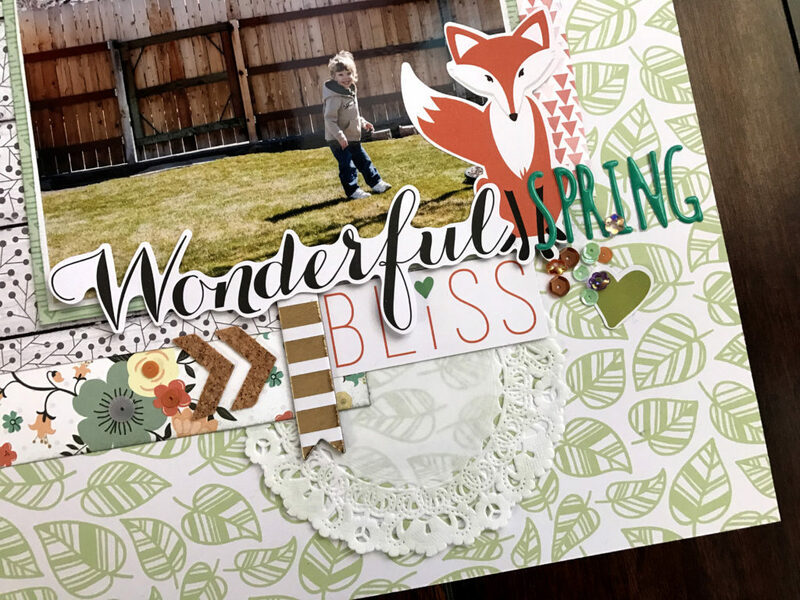 Hello everyone, I am participating in the April SMS blog hop today! You should have arrived here from Beth’s amazing blog. Don’t you just love her layout?!! She inspires me so much! My fellow sparklers and I are using products from the shop to make layouts to share with our family for years to come. 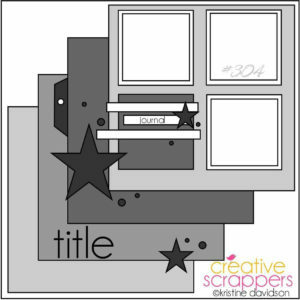 I made a layout based on a sketch from Creative Scrappers. 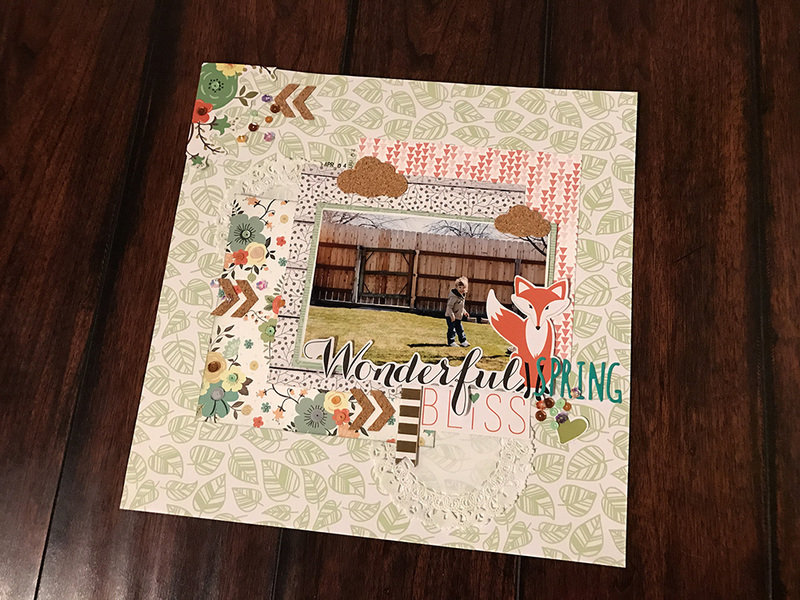 I have been scrapbooking so much this month that I feel like my mojo is just gone. I’m drained of all creativity so this layout really frustrated me. LOL I hate it when that happens!! It turned out ok in the end and I’m pretty happy with it. I used this sketch as my inspiration as well as Audrey Yeager’s take on the sketch. You can watch her process video here. This is the layout I ended up making. I used the older Teresa Collins “Nine & Co.” collection. I found this cute photo of my oldest son, Jonas, when he was 4. I really love his big smile and I love the composition of the photo. 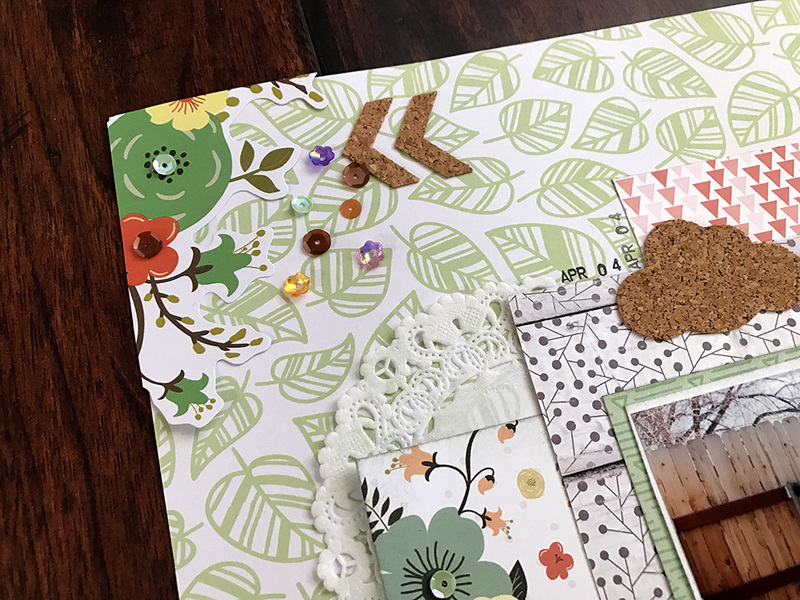 I used Spring Fever and Mocha Mint Dream sequin mixes, Cork Chevrons and Clouds as well as a doily. I used the sequins in the middle of the flowers to add some texture to this floral papers. Isn’t it so pretty?!! I really like these cute clouds!! You can get them as cork like I used here on my layout or felties. Well, thanks so much for stopping by! I hope you enjoyed seeing my layout! Make sure to continue on the blog hop line up. If you comment on all the blogs you will be entered to win a $10 store credit, which is soooo fun! 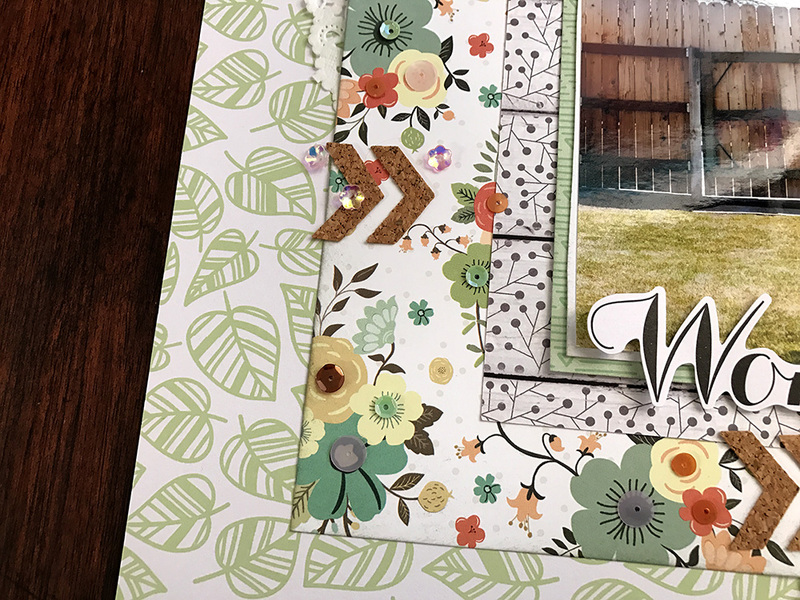 If this is the first blog you found, head on over to SpiegelMom Scraps blog post to find out more info! I’m sorry your layout frustrates but it looks fantastic. I think I need to save that sketch and use it myself! Great use of the sketch. You layout is super fun! I love how you put your own twist on this sketch!! It is so much fun!! The picture and colors!! it works so well together!! Oh no!! I hate it! I hope we can both get some mojo going soon!! I think we all have times when we are not in the mood, but you really turned it around! 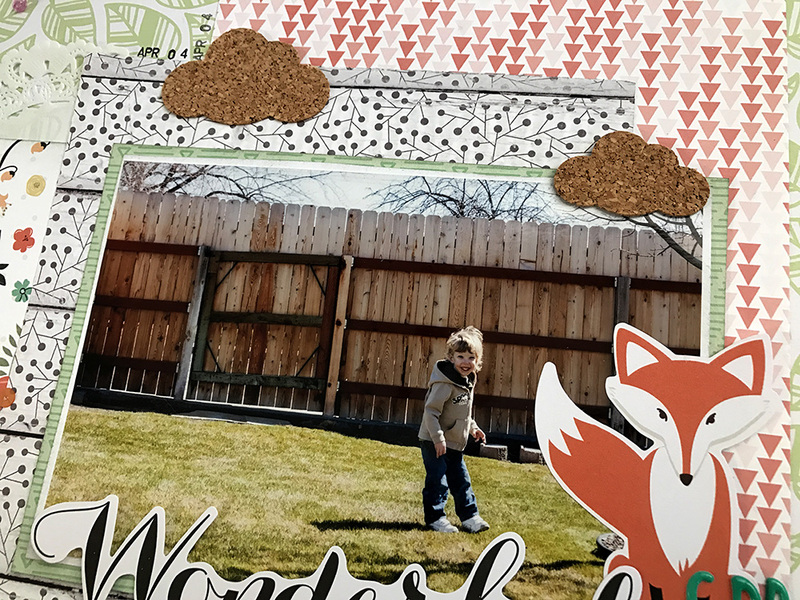 Fun layout with the cork and the sequins and that cute fox. And your son is amazing! Megan, Your struggles are NOT evident on this page. It’s GREAT. I love all your layers and the embellishment clusters are great. The photo stands out but looks perfecly at home with that fox. Lovely layout!!! Love the cord clouds, they really add to the outdoor photo! Sorry you are having trouble, it can happen to us all! Your layout turned out beautiful though! Hope you get your mojo back! Thanks Robin!! I hope it comes back soon too!! Great use of all the pattern pattern. Looks good. I really like how you used the sketch as a jumping off point and made it your own! Thanks Celia!! That’s always a fun way to use sketches! Great layout, Megan!! 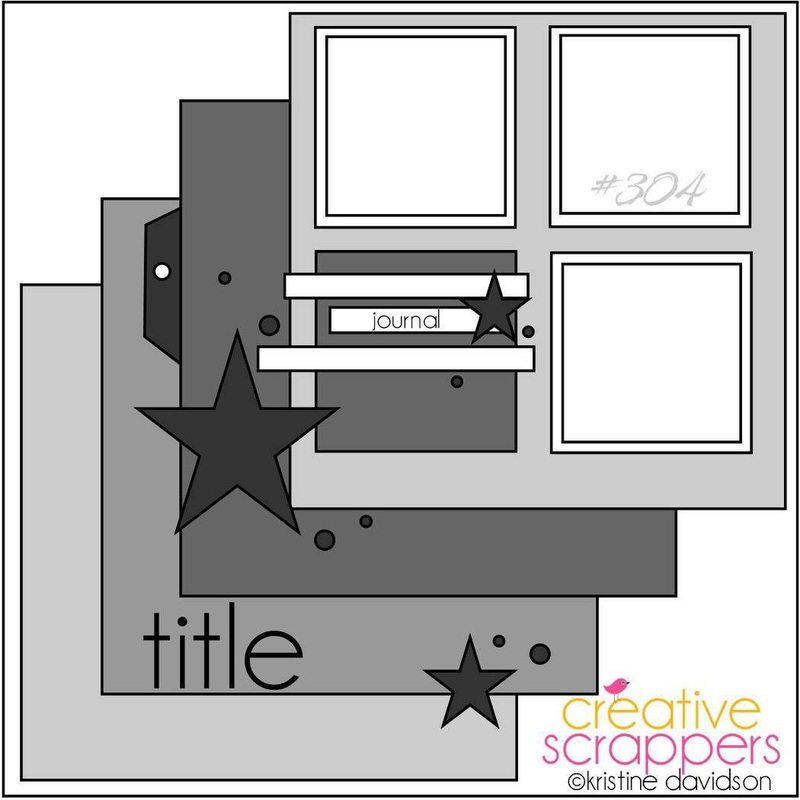 I love the layering, too!! Cute layout. I love all of those patterns together. 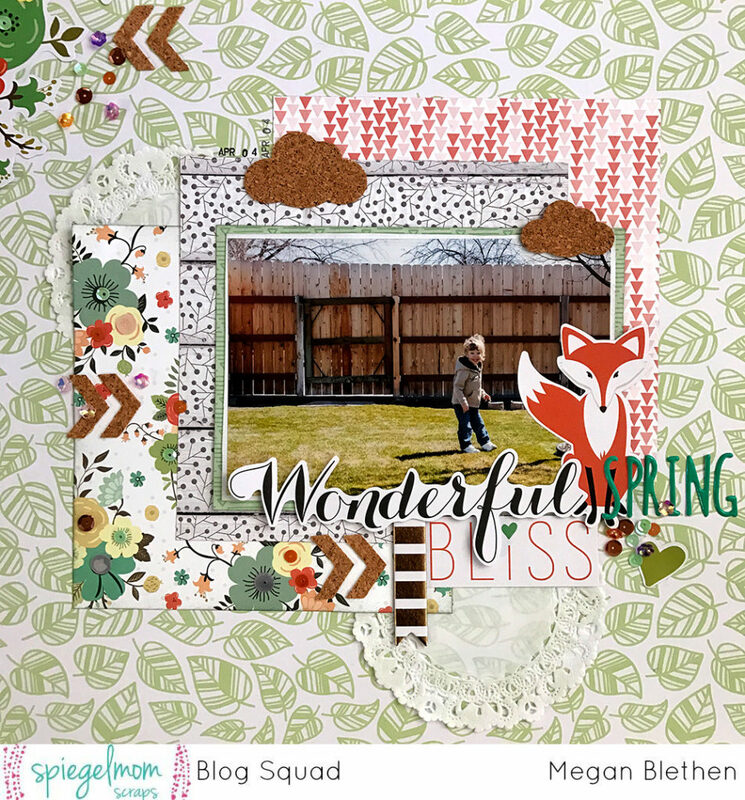 Next Post Moment Scrapbooking with Get It Scrapped!